At this time the room block is closed. If you haven't booked your room for the conference yet, please contact the hotel directly at 1-800-228-9290 and reference the group code PLTPLTA. Book your room early as the hotel will be full. Rooms for Tuesday, June 26th are sold out. Check-in time is 4:00 pm and check-out time is at 11:00 am. The last day to make your reservation is May 25, 2018. Situated in North Myrtle Beach, this hotel offers travelers a tropical getaway steps away from the ocean. Enjoy a range of luxury amenities at the hotel, including four on-site bars and restaurants, a full fitness center, and two outdoor pools. 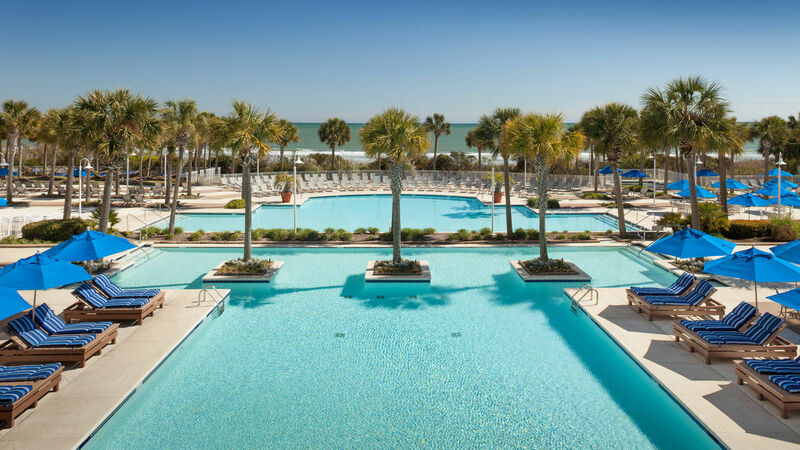 Located close to the Boardwalk, it's clear that the Myrtle Beach Marriott Resort & Spa at Grand Dunes is the area's premier luxury hotel for both work and play. Please contact the PFI office at [email protected], or call 206-209-5277 if you have additional questions.